PAYMENT DUE AT TIME OF REGISTRATION. Due to the small size of the class, payment is refunded if cancellation made 7 days or more from class date. Payment is forfeited if cancellation made less than 7 days from class date. There are no transfers. 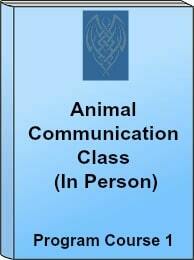 Animal communication classes are the most popular of the holistic animal classes we teach! Everyone has the ability to communicate with animals. It is only a matter of awakening this ability inside yourself. 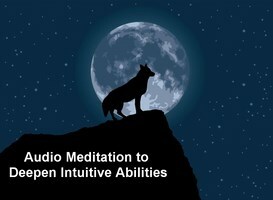 Through meditations and exercises, you will learn how to communicate with animals in just ONE day! Click here to learn more about animal communication. CLICK HERE TO LEARN MORE ABOUT THE CLASS EXPERIENCE, DATES AND LOCATIONS. Through photos of workshop participants’ animals and a live animal, you will learn to communicate with animals, including those that are in spirit. With exercises and meditations, you will work on opening the right side of your brain, the intuitive side, in the morning. In the afternoon, you will be learning communication techniques and speaking with animals. Students who complete the class are invited to join our Animal Heart & Soul Communication Community. Click here to learn more about this amazing and complementary community just for our animal communication students! Taking this class does not qualify you to say you are a professional communicator or received your professional training though it is the beginning of your incredible journey. Click here to learn about our professional animal communication certification program. Read what students have to say about this class. Read the document 10 Things You Should Know Before You Select an Animal Communication Teacher. You will be emailed a PDF certificate upon completion of the class homework. There will be a follow up group class call that is recorded. You do not need to be enrolled in the professional communicator program to take this class. Should you wish to learn more about this program, please click here.